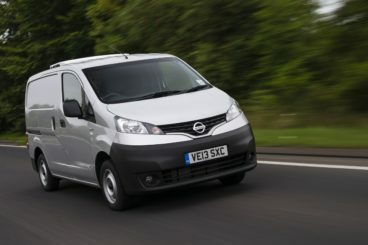 The new Nissan NV200 Combi Diesel Estate looks too compact to be useful, but looks are deceiving – on the inside, it boasts an impressive amount of cargo volume. It also comes with two sliding doors for easy access, and doesn’t cost too much to run. You can choose from a five or seven seater, but both come with rather drab interiors. However, part of its attraction is its flexibility and usability, but crucially it’s also easy to manoeuvre on the road. 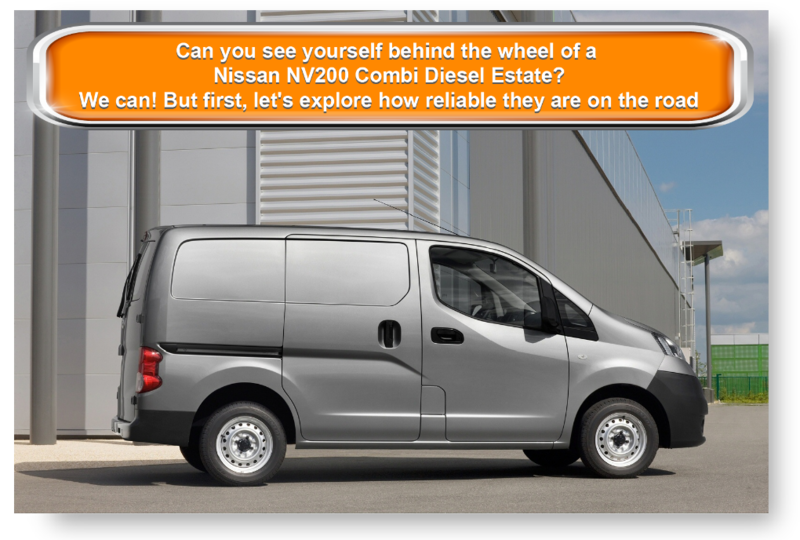 OSV takes a closer look at what it’s all about with our 2017 Nissan NV200 Combi Diesel Estate review. The drivability of the NV200 Combi isn’t really the reason an individual would choose this over another van. But if we were awarding it stars out of five, we’d give it four. It’s got a great shape to it – compact and slender – and, when combined with small wheels, its shape helps it to get out and about the town with zero hassle. On the open road the ride is a bit jittery, however, while long motorway stretches also prove to be a bit of a challenge. There isn’t much to choose from in terms of the engines. In fact, just the one is available – a 1.5-litre diesel engine – but it comes in two separate power guises. Both the 90bhp and 110bhp variants are front-wheel-drive only, and both are super economical and ultra-clean, meeting the Euro 6 emissions standards with ease. The differences lie in their power outputs, as well as the fact that the smaller of the two comes with a 5-speed manual ‘box, while the bigger of the two is paired up with a 6-speed manual transmission. As such, neither is there no petrol engine, but there is also no automatic gearbox. That’s not necessarily a bad thing, and we think buyers will be content with both diesel engines, and their smooth transmissions. Both engines have enough oomph to keep up with the traffic, with the 90bhp variant developing 200Nm of torque, and the 110bhp variant developing 240Nm of torque. However, if we had to pick one that’s best overall in the town, we’d go for the 110bhp. Neither, meanwhile, is as competent on the motorway. Viewed from the outside, the NV200 Estate looks a bit dinky. But once you get inside, you soon realise that you’ve got a decent amount of interior space. Even taller-than-average drivers will be happy with the amount of headroom on offer. That said, it’s not really practicality that’s an issue – it’s the look, feel and quality. Black plastics are everywhere, and they’re not particularly nice to look at. They serve to create a mildly oppressive atmosphere, while comfort is not assured on longer drives. This is due to the uptight seating position, as well as a big, awkward window switch pod located on the door, which you might find digs into your leg. The van comes with an information screen on the dash, but it’s positively tiny. It relays some useful information, though, including pictures from your reversing camera. The steering wheel features a few controls, which helps to clear up button control, but the sat-nav is frustratingly not standard on all models. In terms of how practical the van is, this is where its true strength lies. It offers a 739kg payload, as well as 4.2 cubic metres of load volume. Moreover, you can use it to store items with a height of up to 1.36 metres. There are, of course, bigger load areas in different vans. But few get as much space out of such compact, drivable dimensions as the Nissan. Moreover, the NV200 Combi Diesel Estate gets twin sliding doors for easy access, as well as 6 load lashing points. You get to choose from an array of additional accessories too, including a £129 wheel-arch protection, and £115 body side mouldings. If you opt for the five-seater model, you get a bulkhead behind your seats, while a seven-seater version is also available. This seven-seater variant has less load volume – 2.1 cubic metres of it. Meanwhile, the five-seater variant has a load volume of 2.3 cubic metres. Neither model can offer more space than that, as the rear seats can’t be folded. 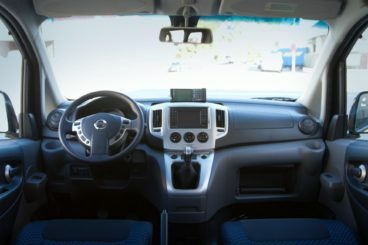 Standard kit is decent and includes the usual – air conditioning, an information screen, steering wheel controls, an MP3-compatible stereo, Bluetooth, and USB/aux ports. In terms of how safe the van is, there is a decent amount of safety kit available. Vehicle Dynamic Control is standard across the range, as are Brake Assist and ABS. An Anti-theft Immobiliser is also standard. A Versatility Pack that comes with a folding passenger seat is optional, as is a rear door glazing pack. Prices for the new car start out from £13,000 and rise to £16,500. For more information on our leasing deals, check out our page here. In terms of its running costs, it’s Euro 6 diesel engine mean that it’s going to be pretty affordable to keep on the road. According to Nissan themselves, both variants of the 1.5-litre diesel engine can return 57.7mpg economy. The 90bhp emits 128g/km of CO2, while the bigger 110bhp variant emits 130g/km. The engines could have been even more frugal, but Nissan has yet to introduce stop-start to this vehicle. Given its size, 2.1 cubic metres of load space for the seven-seater variant is impressive. Owners have so far not reported any major problems, while the five-year warranty is a bonus. There is only one diesel available. You can get it in two separate power guises, but there isn’t much to choose between the 90 and the 110bhp models. You don’t expect these cabins to be flash and showy, but it’s the quality and feel that really lets the NV200 Combi Estate down. 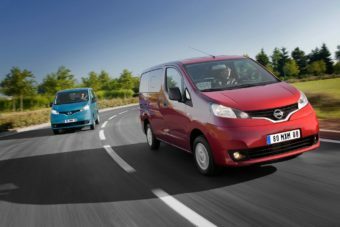 Let’s see how the car fares against its rivals in the comparison section of our Nissan NV200 Combi Diesel Estate review. The new Peugeot Partner Tepee Diesel Estate doesn’t do anything to hide its van-based origins. But if you can look beyond its awkward, bland aesthetics, this is a solid family car that’s ideal for those on a budget. On the road, it’s hardly going to be a picnic. Thanks to its tall build, there is an excessive amount of body lean in bends. The jerky transmission and heavy steering don’t help matters, but Peugeot never intended to offer a smooth driving experience. Moreover, where this car matters – the motorway and in the town – it performs competently. There are just three engines available, only one of which is a diesel. For the purpose of this review, we’re focusing on the 1.6-litre diesel unit only. It takes a little over 13.0 seconds to complete the 0-62 dash. But while that sounds sluggish on paper, it actually feels rather sprightly. You can get it with either 100 or 120bhp. Both variants are affordable to run. The smaller of the two can return 67.3mpg, while the bigger 120bhp model returns 64.2mpg economy. Neither emits over 115g/km of CO2. Insurance and servicing will both be cheap, too. Inside, the cabin is smart, well-appointed, and comfortable. It’s also well-equipped, and comes with a touchscreen infotainment system, a reversing camera, and manual air-conditioning. The front seats are easy to adjust so that the driver can get into the right position, while the rear seats offer plenty of room to stretch out. This is thanks to the Tepee’s boxy shape. It might not look appealing in a showroom, but it proves its worth inside. The best way to describe the amount of cabin space on offer? Vast. The cabin is also flexible, and comes with either five or seven seats. Meanwhile, the boot measures 675-litres when all five seats are up, but significantly less when you add the extra two seats. Remove all rear seats, and you get a load capacity of 3,000-litres. 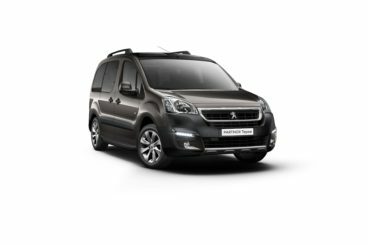 The Peugeot Partner Tepee comes with sliding doors for easy access, and roof rails are standard. If you need more overhead space, you can add an optional storage system. 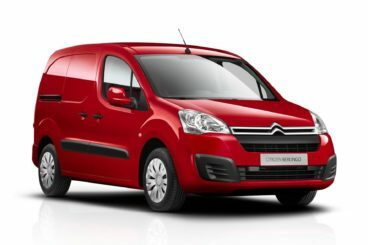 The new Citroen Berlingo MultiSpace Diesel Estate looks as awkward as the Peugeot above. However, it also offers a vast amount of interior space, as well as affordability. And like both the Nissan and the Peugeot, the Citroen is competent on the road more than anything else. That said, when the conditions are right, it has a bit of a spring in its step. The engine range was updated two years ago, but the diesels continue to be unrefined and noisy. The BlueHDi 100 is our top pick. It produces just shy of 100bhp, does 0-62 in a respectable 12.4 seconds, and returns 65.7mpg economy. The BlueHDi 120 diesel engine demands a considerably higher asking price. It develops 118bhp, dusts off 0-62 in just 11.4 seconds but hardly fits in with the Citroen Berlingo MultiSpace’s affordable nature. That said, it’s still frugal, and can return 64.2mpg economy if you specify it with stop-start tech and a 6-speed manual transmission. Both engines are workhorses that betray the car’s van origins. The bigger diesel feels more secure in poorer conditions, but neither is exciting to drive. The steering is overly heavy, and there is plenty of body lean in corners. The diesel models are fairly cheap to insure, with the entry-level diesel sitting in group 10 out of 50. Inside, there are lots of nods to the cars van roots – but that’s not always a bad thing. Head, leg and shoulder room is good, and it comes with up to seven seats. The dash is a blandly utilitarian affair, although a recent facelift means you get a bit more cutting edge tech, as well as comfier upholstery. Go for the range-topping Flair model and you benefit from a smart 7” touchscreen. The aesthetics can be off-putting, though. The grey atmosphere is incredibly gloomy, while the materials themselves are hard and old-fashioned. It’s not exactly the most inviting and friendly cabin you’ll ever step foot inside. Worse still, getting comfortable isn’t easy. On the flipside, practicality is good. The high seating position means visibility is good, while the massive sliding doors make for easy entry. There is plenty of room for you and all your six passengers, while the boot measures 675-litres. Fold both rows of rear seats and you can extend that to 3,000-litres. If you want even more luggage capacity, you can add the ModuTop roof, which tops you up with 170-litres more luggage space. It’s slender, it’s compact and doesn’t cost much to run. Add in plenty of interior space, a large boot, and up to seven seats, and the Nissan sounds useful on paper. However, if you want a well-appointed, comfy cabin, a choice of more engines and more tech, the Nissan falls short of rivals. The Nissan NV200 Combi Diesel Estate does all the basics – but sometimes, buyers want more.